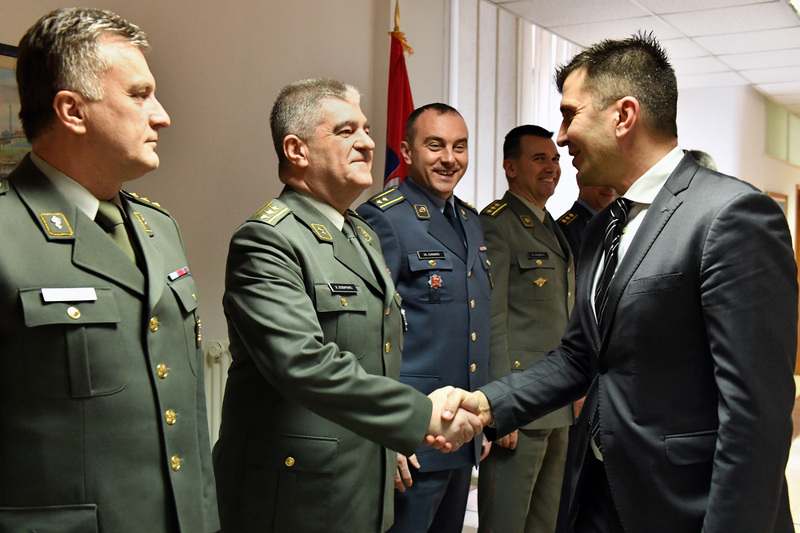 On the occasion of the Day of the Military Medical Academy and the Day of the Military Intelligence Agency, the Minister of Defence Zoran Djordjevic has received today the delegations of these two institutions. 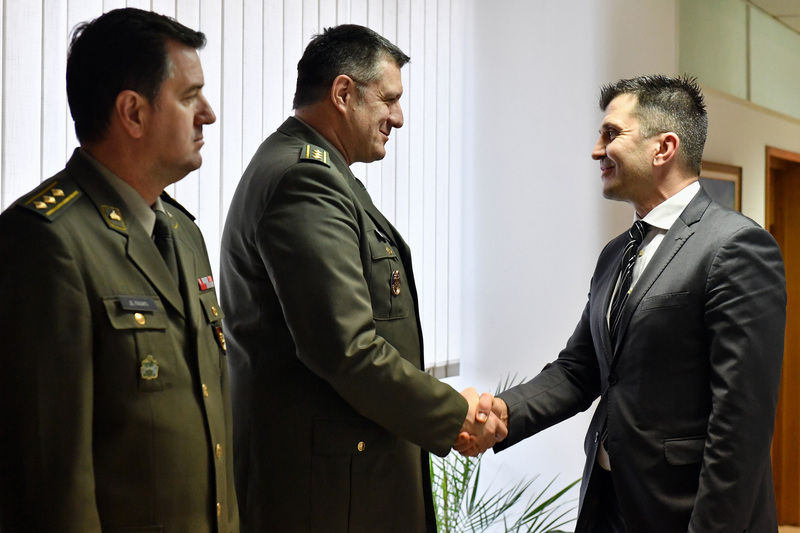 The delegation of the Military Medical Academy was led by the Deputy Chief of the Military Health Department Colonel PhD Ugljesa Jovicic, while the delegation of Military Intelligence Agency was led by the Deputy Director of MIA, Colonel Zoran Stojkovic. 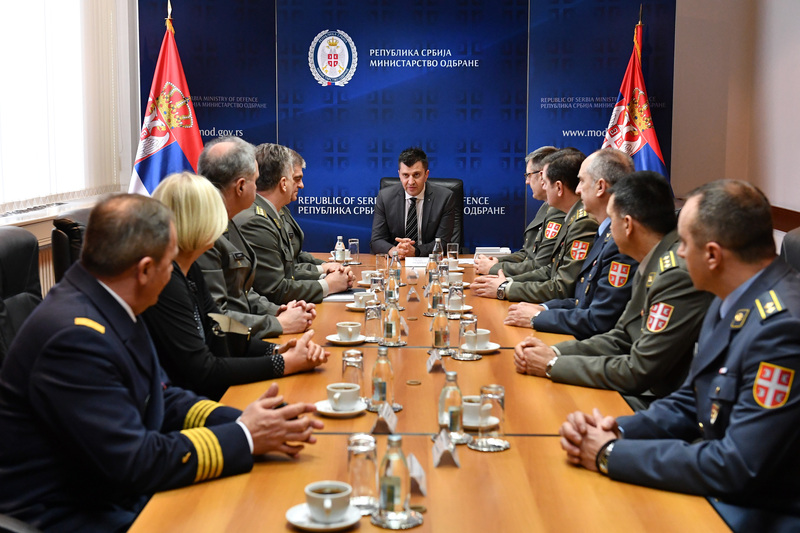 On this occasion, Minister Djordjevic whished them success in their future work highlighting that both institutions, each in its own domain, are essential for functioning of the defence system as well as the Republic of Serbia. The Day of the Military Medical Academy is celebrated on the 2nd March to commemorate the date when the Prince Aleksandar Karadjordjevic signed the Decree which announced the “Law in organization of the hospitals of the Central Army”. The Military Academy was founded in 1949, while the new building of MMA was completed in 1981. The Day of the Military Intelligence Agency -5th March-is celebrated in remembrance of the same date in 1884 when the Foreign Section within Operational Department of the Main General Staff was formed, which was the first time that the military intelligence activities were institutionally established in the modern Serbian state.